Cycling is one of the only sports that can truly be a lifelong pursuit. You may change your goals and the ways you participate or compete, but a bicycle can be part of your lifestyle from childhood to your last days. At Haute Route we want to help athletes experience incredible service and great rides in some of the best destinations in the world. Part of the reason we are the presenting sponsor of the Gran Fondo National Series is because one-day events are a great road to 3-day and 7-day Haute Route events. Here’s how. Every rider who rides a 7-day Haute Route started with a smaller goal. That initial goal was probably riding 100 kilometers followed a few months, or years, later to ride 100 miles. The GFNS provides the perfect inspirational pathway to bigger goals: from 35 miles in one day all the way to the pro-like challenge of over 500 miles in seven consecutive days. The most obvious benefit of riding one-day GFNS events is the fitness boost you’ll get from preparing for and completing a challenging gran fondo. With a number of GFNS events spread across the country and throughout the year, you will most likely be able to incorporate one or more events into your training schedule as you prepare for an Haute Route event. In longer 3- and 7-day events, riding in groups helps you conserve energy and make new friends. One-day gran fondos are a great place to practice your group riding skills. Some riders are very experienced and comfortable with group riding, but others benefit from a refresher course or need to learn for the first time. Gran Fondo National Series events are a great place to learn group-riding skills because of the timed segment format. Groups can re-form in between timed segments, so you can rejoin a group that dropped you or get together with another group of riders and keep going. Getting from the start to the finish is only one aspect of participating or competing in a cycling event. Other details are important, too, like getting your gear together, finding a pre-ride breakfast that works for you, or picking the clothing that works best for the temperature in the morning and can be adapted as the day warms up. It is also important to create routines that work for you after big rides. When you are tired at the end of a big ride, you want your routine to be as automatic as possible so you can do it without much thought. That means practice, practice, practice, and a one-day event can be a great dress rehearsal of the post-ride habits you’ll need after Stage 2 or Stage 5. Cycling is one of the most social endurance sports. Compared to running or swimming it’s a lot easier to have a chat while pedaling side by side down the road. Local and regional events are great places to meet like-minded people who might have goals similar to yours. 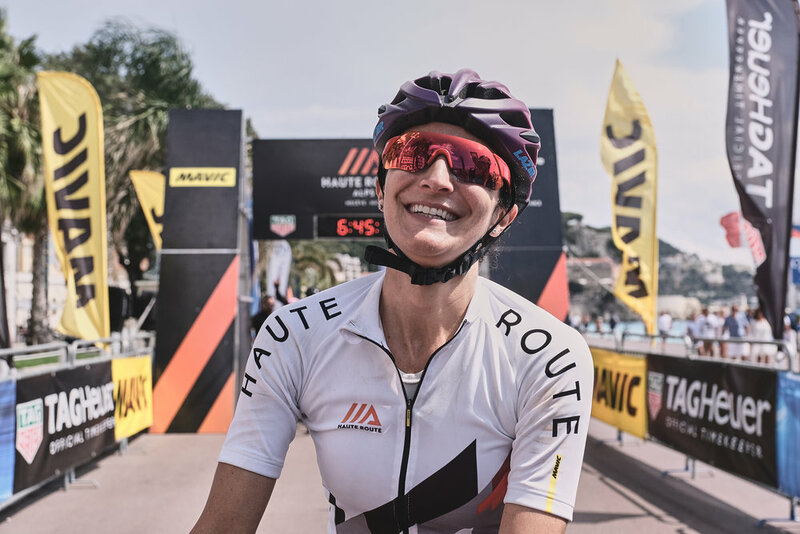 We have found that many riders at Haute Route events train with friends they met through cycling and travel to destination events like Haute Route Asheville or Mavic Haute Route Rockies, or even Haute Route Alps, with those friends. We hope you will participate in at least one Gran Fondo National Series event this year, and if that event serves as your road to Haute Route we will make you this promise: In 2019 any cyclist who signs up for a GFNS event can apply one GFNS entry fee – dollar for dollar – toward the entry fee of any 2019 Haute Route event. Start making your plans today. The 2019 GFNS Calendar is below, and you can view the 2019 Haute Route Calendar at HauteRoute.org.